Since the whole world is moving towards online, including services, communications, etc. it is not strange that business meetings, job interviews and similar operations are also starting to follow this path. When we also add the increase of gaming streaming for both commercial and personal reasons, we get to the conclusion that owning the best webcam for streaming is no longer a matter of luxury, but a necessity. If you have a newer laptop, you probably already have a decent built-in webcam that will do the job, but if you prefer PCs, there is no other option than to buy one and stay in touch with modern tendencies. Of course, if you are not that familiar with the matter, that may present a problem, and that is the reason for this guide in the first place. Today, we’ll help you in your search for a webcam for streaming that will best fit your needs. If you have ever taken pictures or recorded videos, you know how low resolution can completely ruin the whole experience. No one wants grainy or blunt pictures or videos of their most important life events. 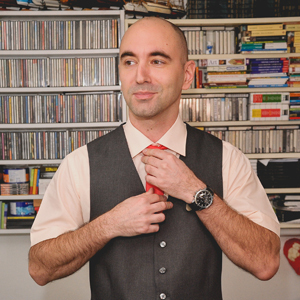 It’s similar to video streaming – why you would accept mediocre picture quality? Especially if you need a webcam for commercial reasons and videos that you make are bringing the food to your table. A frame rate is the speed of your video capturing, or simply said, the number of frames (images) per every second of a video. More frames mean the smoother movement of the people and objects in the video. For instance, all the TV programs in the USA are done with a frame rate of 30 fps or 60 fps, because that is proving to be the minimum for all the motions to look natural. It is the same with webcams. If you want a smooth motion in your videos, go for at least 30 fps in the desired resolution. Although they are as not crucial for the quality of the picture as the optics, they still present an aspect that can significantly decrease or increase the image quality. Therefore, if you can, always go for higher numbers, but not at the expense of the optics, they should always be your priority. The better the optics, the better the image quality. If you want an image that is sharp, with natural colors, always go for quality, such as Carl Zeiss optics or something similar. If you are only into streaming during the day or in a well-lit room, this feature won’t mean much to you, but if you are into gaming or some horror-themed streaming, the video quality under low light is very important. In this case, you should look for the webcams that have an improved low light performance. 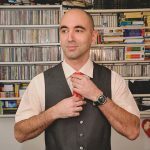 Although it is not a must, especially if you have a stationary image that needs to be streamed, a lack of autofocus can be problematic because it requires for constant readjustments that can be pretty frustrating, especially if you forget about it and end up with a poor quality video that is unusable. Therefore, the advice is to always go for webcams with autofocus, unless you have no problem with constant adjustments. If you liked Logitech C920, you will also like its successor C922, mostly because that is almost the same device, both according to the design and features, with only a few improvements. These discrete upgrades include improvement of a low light performance, which was basically the only feature C920 was lacking in order to become the best webcam for Twitch streaming. Another upgrade is 720p video capturing with the frame rate of 60 fps (1080p video capture is still at 30 fps, as with C920) and last, but not the least, is background removal that has a constantly growing popularity recently. Although this was possible with a third-party software, with C922 this function comes right out of the box thanks to its Personify ChromaCam software. C922 supports all major operating systems, has Carl Zeiss optics that guarantee for a premium quality picture, built-in mics for clear stereo sound recording, premium autofocus, USB connectivity; overall, everything that you could need for both your professional and personal streaming is there. 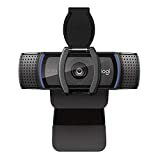 Excellent for streaming on YouTube, Twitch and similar platforms, great for online gaming, video-conferencing… all in all, Logitech C922 is the best webcam for streaming you can find. 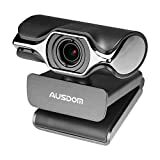 Ausdom AW620 is a webcam optimized for video streaming that offers great image quality for an affordable price. If you are into buying the best webcam for streaming on Twitch or YouTube, or you are looking for a cheap, but a quality picture, a webcam that you can append to your gaming PC for streaming of your gaming sessions, this device is a great deal. Sharp detailed picture, rich in color, smooth video quality and automatic low light adjustment are just some of the characteristics of this great device. With a built-in stereo microphone, plug & play function, 360°rotation lens and compatibility with all the major operating systems, Ausdom AW620 delivers much more than you would expect from a device of this type. Just like the AUKEY FHD webcam, which it is very similar according to both characteristics and price, Ausdom AW620 offers capture of full HD resolution videos under the frame rate of 30 fps and 720p videos under 60 fps, with more than good picture quality. In other words, no matter which of these two cheap solutions you decide for (AUKEY FHD or Ausdom AW620), you won’t make a mistake. They will both deliver an excellent picture quality for this price range. For all those looking for a decent, not too expensive solution for their video calls, Genius WideCam F100 comes as a good option. With a 120-degree viewing angle, this webcam is a great choice for conference room video calls or situations when you need to capture many persons in one image. The only downside of a wide angle is a fish-eye effect that is not that dramatic but still exists. Genius WideCam F100 produces 12MP interpolation photos and offers video shooting in 1080p resolution at 30 fps that result in generally smooth and natural images, but not that great when compared to the cameras with lower frame rate (15 fps), that in many cases offer even better video quality. Also, this device doesn’t have autofocus, but a ring on the front of the camera for manual focus, and it lacks digital zoom and the more complex features such as face tracking. All of this is probably the reason that this device has a problem with light changes and offers not that great white balance. Problems with light are also noticeable under low light when the image can be grainy, but still, all these downsides don’t change the fact that the image quality of the Genius WideCam F100 is actually a pretty decent one. Yes, this surely isn’t the best webcam for streaming, but there are also some asses that the F100 has up its sleeve. It comes with an excellent, highly sensitive stereo microphone with background noise cancellation, that produces clear and natural sound without hiss, which is among the best in the class, affordable price for this type of the device and the previously mentioned wide-angle camera, which is one of its prime features after all. 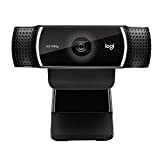 If you are looking for a great value for the money and have no specific preferences considering its features, Logitech HD Pro Webcam C920 is an excellent choice for you. With quality overall characteristics that include an amazing 20 step autofocus, very sharp 1080p image thanks to Carl Zeiss optics, and a great low light performance, this webcam will satisfy the majority of users that are looking for a proper video conferencing tool. This device delivers accurate white balancing, while its default settings make the picture look a bit washed out under bright light, but thanks to its Logitech Camera App, that can be adjusted. Fully compatible with the majority of today’s operating systems (Windows, Mac, Chrome OS and Android), with USB connectivity and minimal setup, C920 becomes your loyal companion in streaming your videos or video chats in no time. Equipped with a camera that can shoot 15MP photos and record 720p videos with 60fps, dual microphone, H.264 compression for decreasing the size of your files, while keeping the high quality of the picture, this device is the best webcam for streaming your money can buy. Microsoft LifeCam Studio HD Webcam is a quality webcam that is most suited for a personal use because its 1080p sensor requires for a third party software and it comes out of the box only with a 720p (30 fps) recording capability. Therefore, if you are not willing to spend a few more bucks for a Cyberlink YouCam, or some other similar software, better forget about its full HD use, which is a standard in business conferences nowadays. Other than this drawback, this is a high-quality device that delivers great durability, sharp image, still photos of up to 8MP in size, TrueColor Technology for automatic adjustment of color and brightness, petal lens for reduction of the unwanted light, 360-degree rotation and much more. Unfortunately, if you want to get yourself the best webcam for twitch streaming, or business calls, this device just isn’t that. Both Logitech C920 and C922 are better according to the value and features that they deliver and they are not more expensive than the Microsoft LifeCam Studio HD Webcam. Overall, this is a good device, but for this money, you can do much better. If you want to get yourself a cheap webcam with a quality picture that will satisfy your needs for both video conferencing and online gaming, AUKEY FHD Webcam should be your choice. Very compact, made out of quality plastic, with 2MP camera, CMOS sensor of 1/3“ in size that allows for recording in resolutions from 240p to 1080p, all at 30 fps, built-in stereo microphones, USB connectivity and a plug & play function for easier use, this device is an excellent option for everyone looking for a durable device with a good quality of picture. Of course, its low price tag comes with a cost – it lacks autofocus and that it demands the illumination of at least 5 lux to work properly, but other than that, there are no big downsides. 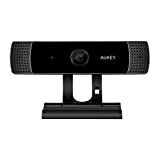 Compatible with Mac, Windows and Android, with great image quality and equipped with a mic for streaming, AUKEY FHD Webcam offers everything you would expect from the best cheap webcam for streaming. If you want a device with the best possible image quality money can buy, Logitech BRIO should be your choice. This is the only webcam that supports HDR recording and 4K streaming. Therefore, if you are into that, there is no other choice than to purchase this device, but be aware you will have to reach deep into your pocket. BRIO has a 13MP camera, with the 90-degree field of view, for wider area capture, an infrared sensor that makes sit compatible with Windows Hello and 5x digital zoom. In 4K video capturing, this webcam offers a frame rate of 30 fps, in full HD up to 60 fps, and for 720p – up to 90 fps, which is more than respectable. BRIO has an excellent white balance, great saturation and low light performance, so it is no surprise that its image quality is among the best on the market. If you are into streaming your games, there is no better tool than this device – just put it on top of your gaming monitor and enjoy the ride. When talking about its downsides, other than the price, there is also a buggy autofocus that sometimes focuses only on closer objects, and you will have to adjust the device manually in order to focus on what you want. This can be very annoying, especially if you consider the fact that this is a high-end device, with a high-end price and the fact that BRIO contends to be the best webcam for streaming on the market. The most important feature of the RAZER KIYO webcam is its LED light ring that makes it a perfect fit for any lighting conditions, including pitch black situations. Thanks to the lights turning dial you can adjust the intensity of the lighting to accommodate your needs, and for instance, use it for streaming some horror games, or creepy videos in complete darkness. The list of RAZER KIYO great features also includes a 1080p sensor that delivers very sharp and detailed picture, fast autofocus and excellent white balancing, while its color saturation is one of the highest on the market. Unfortunately, in darker conditions, saturation makes the images look color-muted, while the absence of the dedicated software for that occasion will force you to adjust the color profile in every app you are using the footage in. Other than that, RAZER KIYO is a great device, packed with features. It captures colors more accurately than Logitech C920, which is one of the best affordable webcam solutions out there. All in all, if you want to find yourself the best webcam for live streaming, this device is a great choice. Its excellent picture quality and 30 fps when recording in full HD and 60 fps in 720p resolution are more than a good recommendation. 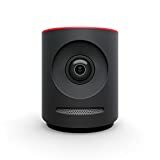 Mevo Plus is an upgrade of the older Mevo web camera. With these improvements that include 4k and 1080p recording, new 802.11ac Wi-Fi chip, 2×2 MIMO antennas for faster data transfer, support for more live stream platforms (YouTube, Periscope/Twitter, etc.) other than Facebook Live, support for Android, the majority of the weaknesses of the older model have been eliminated, which gives the Mevo Plus even more opportunities for success. More importantly, many of the great features of the predecessor have been kept – such as design, ease of use, 12MP Sony 4K CMOS sensor, 150 degrees glass lens, USB ports, Ethernet jack, 16GB SD card that is included in the package, and a lot more that makes this a one-of-a-kind device. Of course, there are some downsides that involve its high price, no 4K streaming support and the fact that it takes too much space, which makes it difficult for work, and lastly, its short battery life. In other words, if you need the 4K streaming capability, Logitech BRIO is your only choice, and don’t forget that it is much cheaper than the Mevo Plus, which is another interesting fact when deciding for the purchase. Yes, Mevo Plus has an overall great performance, maybe even better than BRIO, and has some very nice features such as Wi-Fi, LAN, great optics, etc. ; however, it still lacks some of the features that it should certainly have for this price. It’s surely among the best webcams for streaming, but the question if it’s THE BEST remains. If this guide has helped you in your search or at least narrowed your choice, its purpose has been accomplished. If not, we hope that it at least cleared some of your doubts and that your webcam search will be successful. Happy streaming!